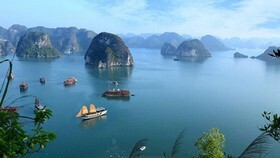 The southern province of An Giang in the Mekong Delta possesses the considerable geographical benefit for tourism development. It attracts tourists all year round, especially on Tet holiday, thanks to its many traditional festivals. Located near the border with Cambodia and having Tien River as well as Hau River pass by, An Giang Province has both large mountains and an interlacing river system. 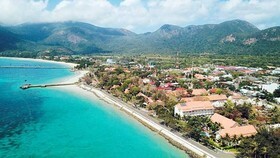 Among them, the Bay Nui region is the most prominent owning to the renowned Ba Chua Xu Festival (Holy Mother of the Realm). 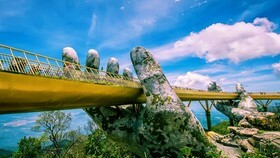 Throughout the province, there are also various national historical monuments and cultural heritages such as Thoai Ngoc Hau Mausoleum, Tay An Pagoda, Hang Pagoda, Ba Chua Xu Temple, let alone unique natural landscapes. According to Mr. Tran Quoc Tuan, Vice Chairman of Chau Doc City People’s Committee, the major city in the province where Ba Chua Xu Temple is located, his area has witnessed an impressive growth in the number of tourists and pilgrims from around 5 million in 2017 to 5.4 million in the following year, considerably boosting the development of the commerce and service sectors. 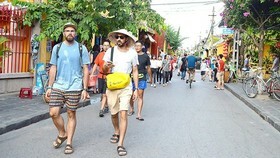 To better welcome new tourists this year, particularly in the festival season, Chau Doc City is heavily investing in traffic and general urban infrastructure. Adding to this, the Ministry of Culture, Sports and Tourism has recently classified Sam Mountain, the most famous of the whole province, as a National Tourism Attraction. 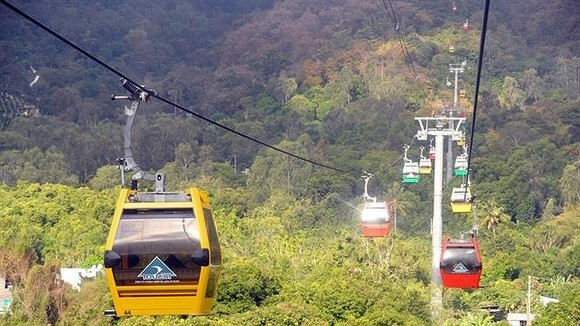 Another well-known natural landscape of the province is ‘Cam Mountain National Park’, sited in Tinh Bien District. It has charming scenery, immense rice fields, the imposing Bay Nui mountain range, along with different irresistible tourist attractions like Thanh Long Spring, Thuy Liem Lake, Phat Lon Pagoda, and Van Linh Pagoda. 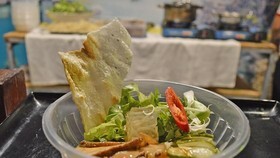 When visiting these places, tourists have a chance to taste delicious ‘banh xeo’ (Vietnamese sizzling pancake) with spicy vegetable from Bay Nui mountain range, or fresh juicy fruits of each area. Welcoming them are the ever-friendly local people who are always ready to introduce their own cultural or religious traditions, as stated by Mr. Le Thanh Thuan, President of Sao Mai Corporation, which is in charge of a 130-billion-VND $5.6 million) project to construct Tra Su Resort. Other frequently visited places are Soai So Lake, Ta Pa Lake, Co To Mountain, Tuc Dup Hill, or the Tra Su Indigo Forest thanks to their pristine and original landscape, their unique ecosystem . According to Mr. Guillaume Van Grinsven, Senior Expert of PUM Netherlands, the core value of An Giang Province is its diversity in culture and religion, which is widely demonstrated via a series of pagodas and temples. What is more, its nature is quite impressive and can greatly boost tourism development. 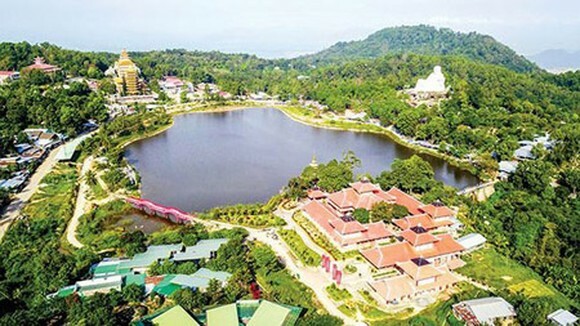 At the moment, the four national / international potential products of the province are identified as Chau Doc City with the pagoda group on Sam Mountain, the everlasting religious values around Cam Mountain, Oc Eo Cultural Heritage, and Tra Su Indigo Forest. These are supposed to be the main tourist attractions of the province. 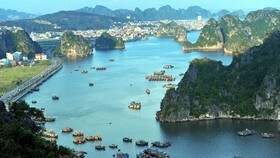 As stated by Vice Chairman of the An Giang Province People’s Committee Nguyen Thanh Binh, his province is trying its best to turn tourism into its key industry, being more and more sustainable and professional, which in turn can attract more investors into the province. The highest ambition would be to transform An Giang Province into a friendly and ideal tourist destination for the whole Mekong Delta, and in the long-term the whole country. To achieve this ambition, the province will first focus on the 4 types of religious tourism, cultural tourism, leisure travel, and ecotourism. It is predicted that in 2020, the province will welcome around 10.1 million visitors, so it needs at least one large-scale cultural – religious complex for tourism, along with a recreational park and modern shopping mall. 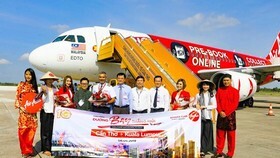 The province will also concentrate on local and outbound tours between Vietnam, Thailand, and Laos. Besides checking the status of current tourist attractions, An Giang Province has already invited experts from Holland to help the sustainable development of tourism in the region, encourages businesses to strongly invest in building new resorts, and fostering the culture of friendliness. As suggested by Mr. Guillaume Van Grinsven, An Giang Province still needs to improve its infrastructure, education level, language skills, accommodation and traffic. He also recommended to turn Cam Mountain into an ‘International Religious Park’ to compete against the neighboring nations of Thailand, Laos, or Cambodia. In his business visit to An Giang Province in the middle of December 2018, Prime Minister Nguyen Xuan Phuc expressed his eagerness to come to such a legendary land that is full of historical, cultural, and religious values. 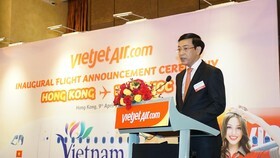 He stated that An Giang Province is the uniqueness of the whole Mekong Delta and a natural eco-museum. Therefore, the local authorities and citizens here have a special responsibility to protect these values while introduce them to outsiders. Commenting on the geographical feature of the Bay Nui mountain range, the PM said that this would be the perfect Feng Shui feature, carrying spiritual values for a sustainable development, and becoming the ideal to attract different groups of international as well as national tourists.